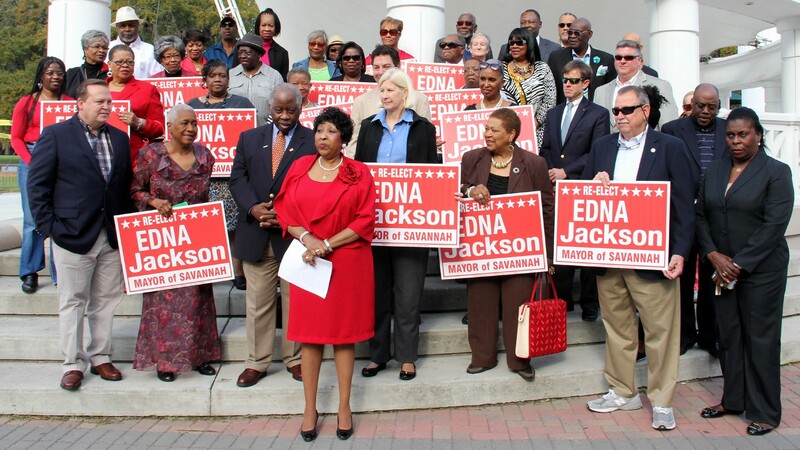 Mayor Edna B. Jackson surrounded by supporters as she announces her bid for re-election. 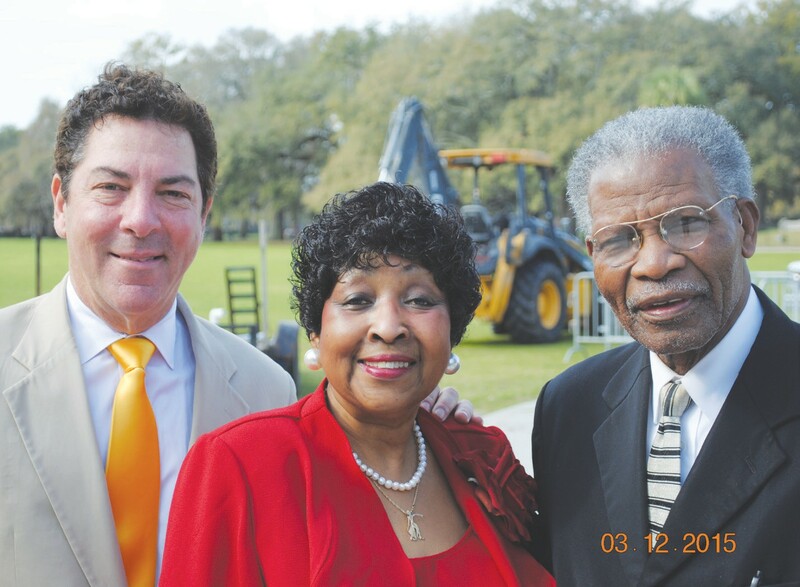 (L to R) Scott Center, Mayor Edna Jackson and Rev. Mathew Southall Brown, Sr.
work will be better accomplished with a consolidated police department. “We have always been for a continuation of our police department here in this community working as one — a city-county police force,” said Jackson. Meetings between City Manager Stephanie Cutter and county managers are ongoing to negotiate the terms of a new police merger agreement. Jackson said, she’s also running on a platform of bringing jobs to Savannah and reducing the city’s poverty level. Mayor Jackson said attaining the goals she’s set for her second term will take a team effort of the entire city council. “My council members here are in support of my re-election, and I’m happy about that because it is not about Edna Jackson. 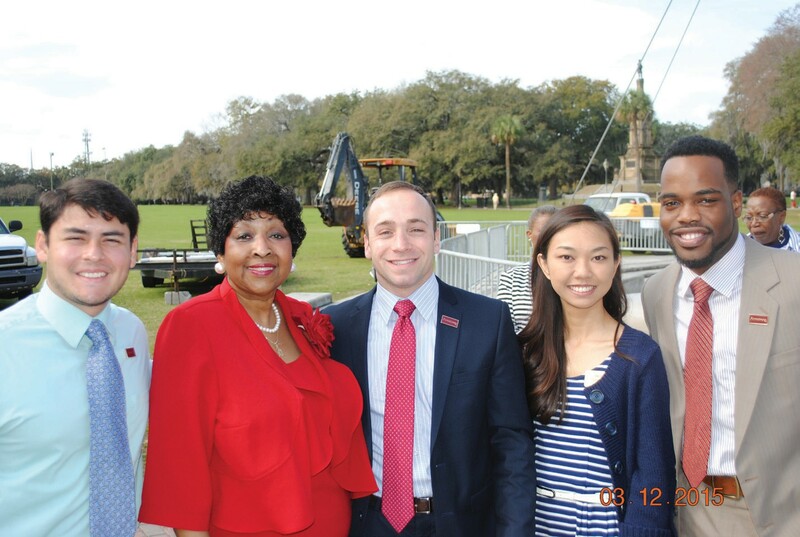 It is about the team working together for the good of all the residents of the city of Savannah,” she said.